Exquisite homes located throughout the Brunswick Forest community were on display this past weekend as part of the annual Parade of Homes. The Parade of Homes distinguishes the best from the rest with gold, silver, bronze and interior design awards given at the conclusion of the parade. Eight of Brunswick Forest’s preferred builders took part in this year’s prestigious Parade of Homes which included 11 gorgeous homes! If you missed viewing these homes in Brunswick Forest, not to worry because they will once again be open for public viewing from 12-5 pm Saturday May 4th and Sunday May 5th. 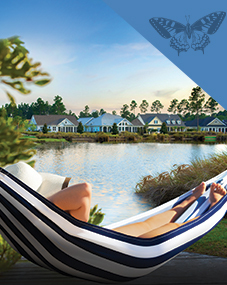 While perusing and peeking at the Parade Homes, make time to stop by a great selection of Brunswick Forest resale homes that will be ready and waiting for community visitors!